Distinctive light green and grey, the ocean liner Southern Cross was purpose-built to carry only passengers. From 1955 until 1971 she brought thousands of migrants from the United Kingdom to Australia and on to New Zealand. 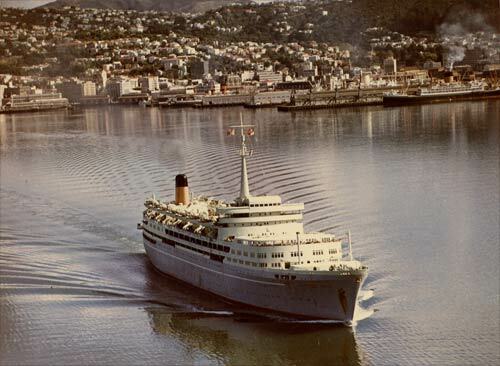 I was aboard the maiden voyage of the Southern Cross and well remember the stormy seas as we approached Wellington Harbour on May 2nd 1955. I spent my 18th birthday in Tahiti en-route.